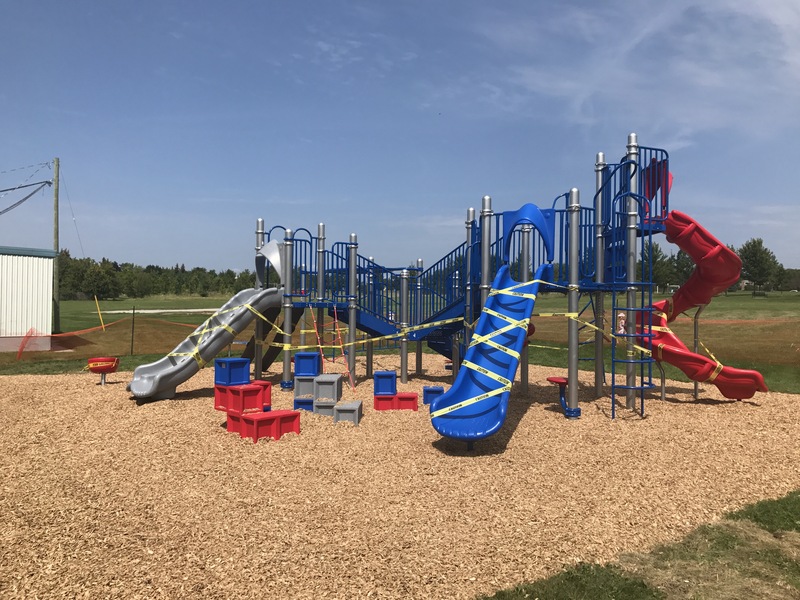 I am SOOOOO excited to tell you that we are days away from opening the playground. 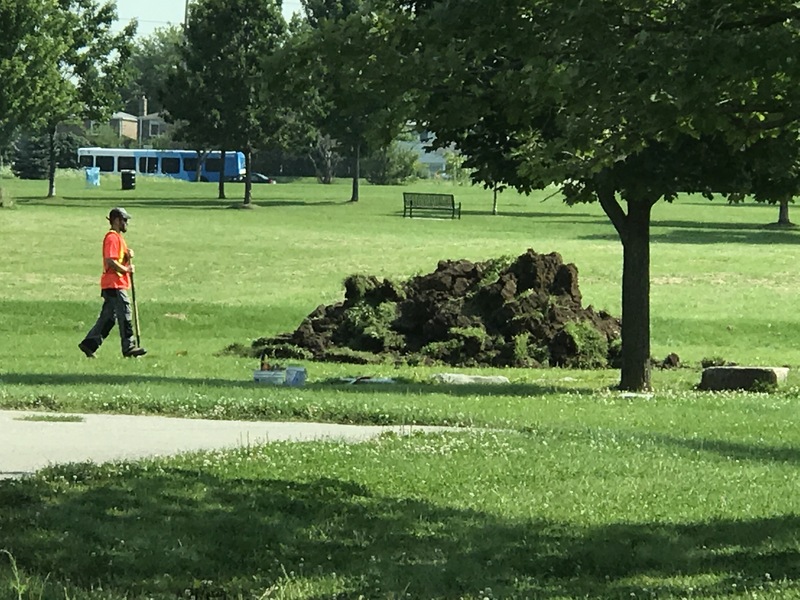 Everything is almost installed and the ground is setting. 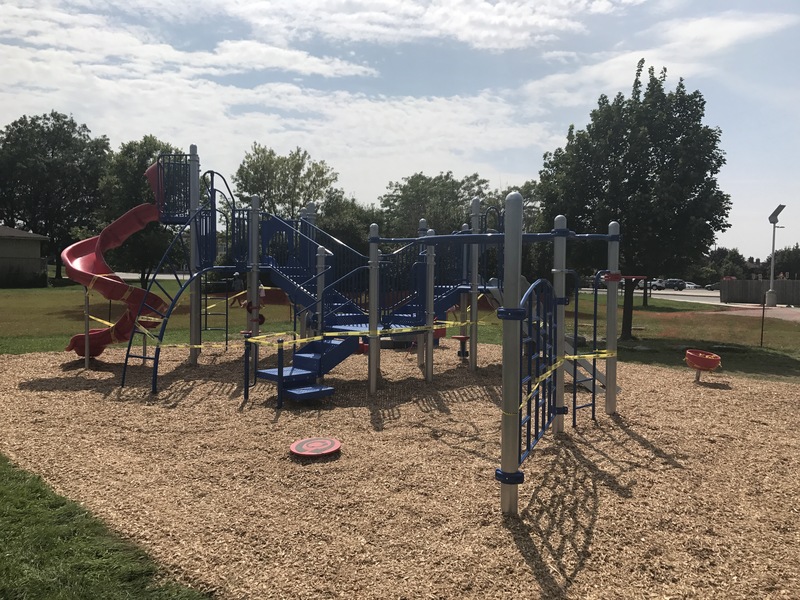 Our inspection is pending and once we get the green light we will have a playground! Thank you so much to all of our community for the hard work and dedication it took to make this a reality. 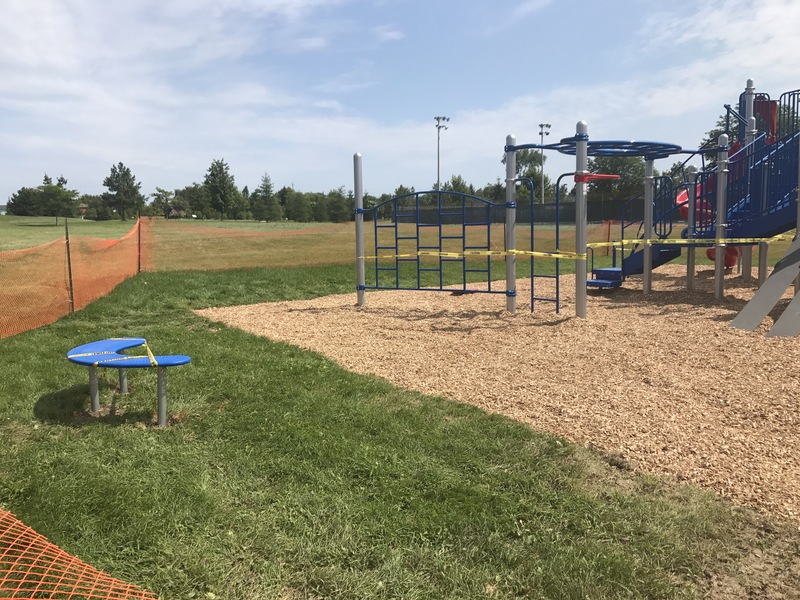 I hope that the Playground is a place of safe and happy play, a gathering place for the community and an inclusive place. 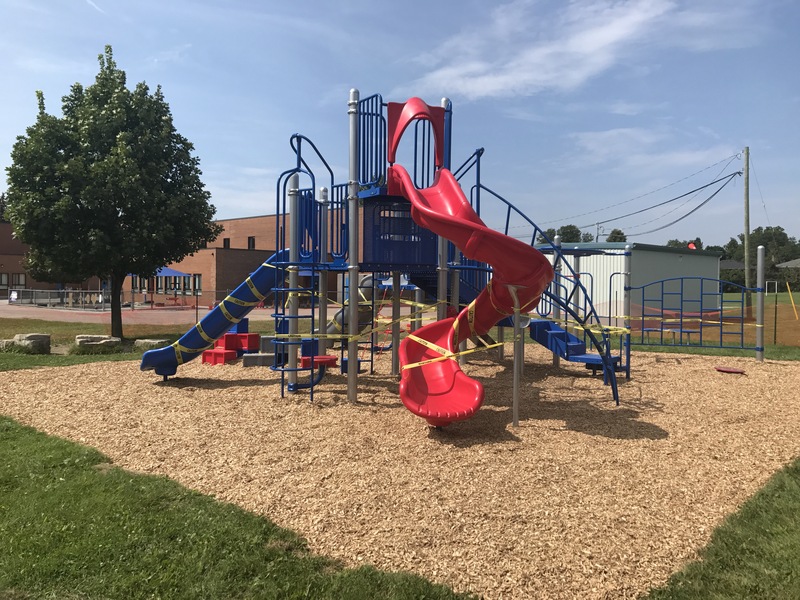 Please remember to include others at the playground- if someone is sitting on the buddy bench, that is a sign they are looking for someone to play with (more details to follow). 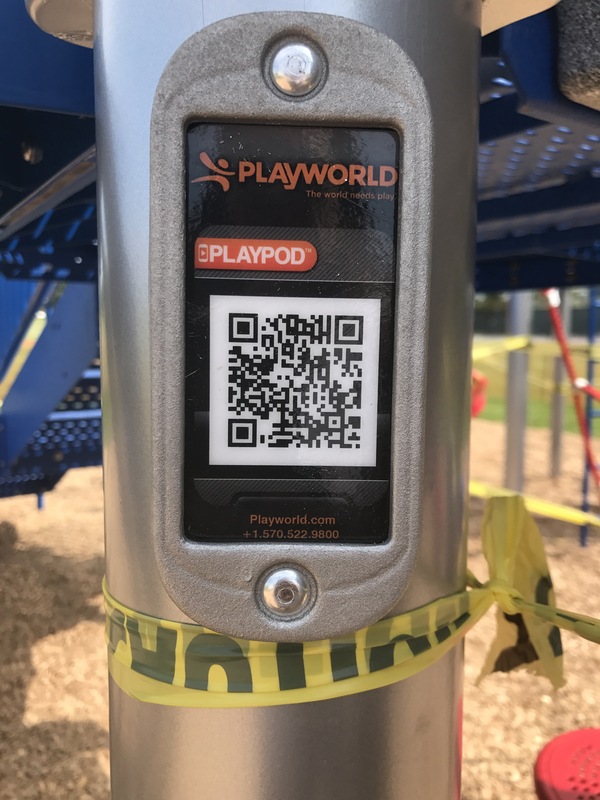 There is a panel with a QR code on one of posts in the playground. Scan it for game ideas and more information about our playground. Here are some pics while we wait for the final inspection…. Congratulations to Amanda Breda who will be joining the Mavericks permanently as our newest staff member. She will be teaching one of the Grade 4/5 classes. Welcome back Ms. Breda! 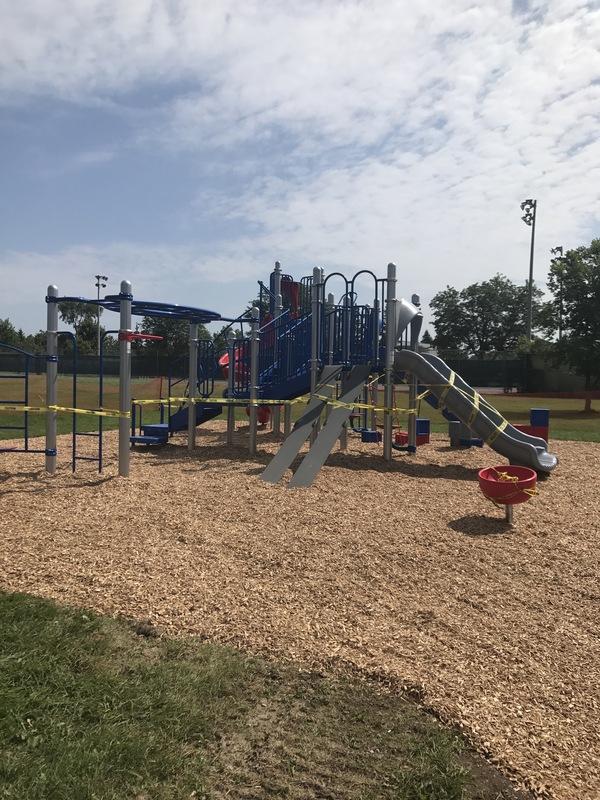 Check out the playground progress!!! The inside of the school is looking awesome… and just out back they started breaking ground for our PLAYGROUND! Stay tuned for updates. I hope you are enjoying a happy summer and that you have had the opportunity to do at least one new or exciting thing with your family. The weather has been a challenge but it has hopefully not put a damper on what you have been up to. 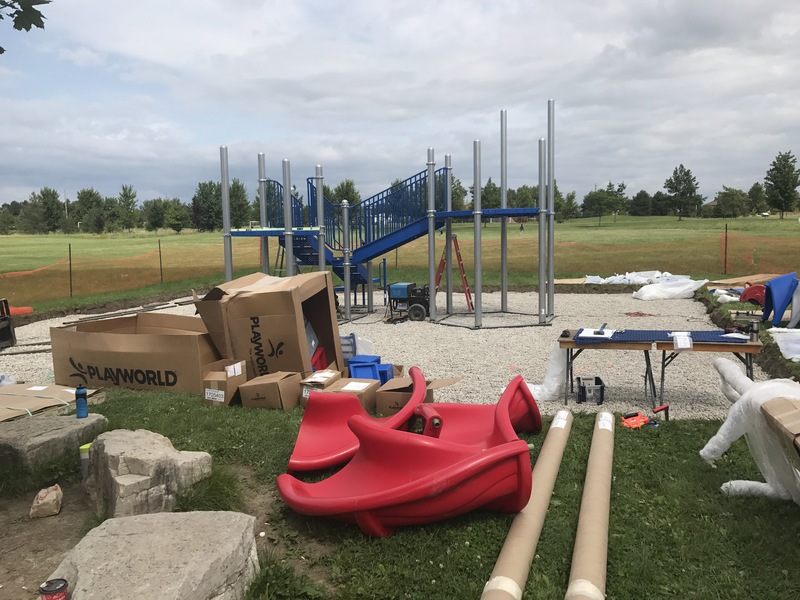 PLAYGROUND – the playground is ready to go and installation will begin on August 21st! It will take at least a week to get it installed and then will require a round of inspections before it can be opened. Please resist the temptation to climb the fence around it to play and wait until we have the ‘all clear’! I will let everyone know when that is. STAFF NEWS – We are still in the process of hiring and I have two days of interviews next week. We are welcoming Ms. Shory (DECE to Kindergarten), Mme. Nastic (French), Mr. Gulab (Community Class/SERT), Mr. Warren (Caretaking) and Mr. Dava (Caretaking). Still to be added to the team is a Secretary and another Teacher. We are so excited to welcome everyone to the team and know you will join me in showing them what it means to be a Maverick! A huge shout out to Mr. Marshall and Mr. Mete who have worked hard this summer to scrub the school clean. It is looking good in here! Enjoy the rest of the week and look for more updates in the next two weeks.